The universe of dynamic psychotherapy has undergone slow, but ultimately dramatic change, since the 1970s. Now a new psychotherapist has taken up residence in the office. 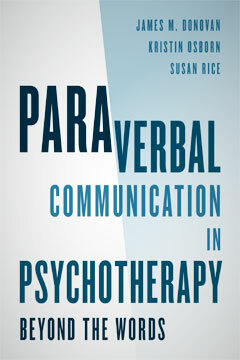 This book tells the story of what we found when we studied that new therapist directly, by watching her work, on videotape or through extended case excerpts. Here we learn that today’s counselor’s thoughts, words and behaviors sharply set her in contrast to her counterparts of just twenty-five years earlier. The videotape, for the first time, reveals to us the verbatim spoken exchanges, but also the bodily messages: the tones of voice – the facial expressions – the gestures of patient and therapist as they choreograph their interaction. When we begin to examine the therapy participants as embodied speakers, at this moment we find ourselves on the outskirts of mostly untrodden territory. We sense an evolutionary advance perhaps about to take place on the screen, because we can now choose to study all the extra-verbal information, as well as the verbal, in the therapy interchange. This is the first comprehensive research and practice-based guide for understanding and assessing supervision technology and for using it to improve the breadth and depth of services offered to supervisees and clients. 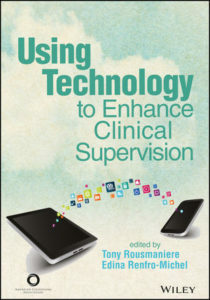 Written by supervisors, for supervisors, it examines the technology that is currently available and how and when to use it. 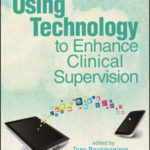 Part I provides a thorough review of the technological, legal, ethical, cultural, accessibility, and security competencies that are the foundation for effectively integrating technology into clinical supervision. Part II presents applications of the most prominent and innovative uses of technology across the major domains in counseling, along with best practices for delivery. Each chapter in this section contains a literature review, concrete examples for use, case examples, and lessons learned. Feelings give energy and color to our lives. They help us make wise choices, be close to others and set limits. However feelings can also be frightening. If we are afraid of what we feel we can develop an affect phobia. We retreat, no longer dare to be vulnerable and suffer from stress, anxiety or vague physical complaints. If clients suffer in this way, they may find it helpful to explore whether or not they have an affect phobia. APT was developed by Dr. Leigh McCullough. APT integrates psychodynamic, cognitive behavioral therapy and experiential techniques to help patients learn how to unlearn an affect phobia. Research shows that people with anxiety, depression avoidant and dependent personality disorders benefit from this form of treatment. In this book, you’ll find an overview of the model to help you learn how to do a core conflict formulation, restructure a defense, affect restructuring and self and other restructuring. All theoretical concepts are illustrated with insightful patient-therapist dialogues. This book is ideal for both psychologists, clinical psychologists, psychotherapists and psychiatrists in training, as well as for those working in the clinical practice. 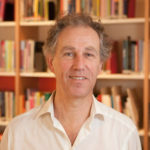 Dr. Quin Dam is a clinical psychologist, psychoanalyst, supervisor NVP, NPaV and NVPP, and works in private practice in Leiden. He has over 20 years lecturer at RINO Amsterdam and supervises the peer of GPs with the Balint. 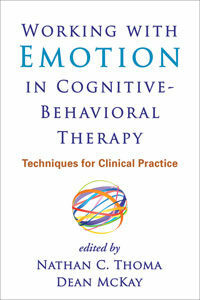 This is the first Swedish book about the affective-focused psychodynamic therapy. Our affect theory guides our attention and prepares us for action. They tell us what is important and helps us communicate it to others. How we manage our emotions depends largely on the relational experience we have. An affective-focused psychotherapy gives the possibility of a close and trusting relationship recognize and approach their emotions in depth so that a ominlärning and integration can take place. To get more in touch with their genuine feelings and needs of the patient needs to be helped to see and let the defense that is not adaptive, to replace them with more balanced ways to regulate emotions and anxiety. Therefore, the therapist is active and focused as close as possible experience. The book gives a good understanding of both theory and research, practical application. 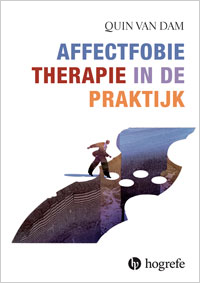 The authors addressed, including affect theory and attachment theory related to psychotherapy. With the help of many cases vignettes and dialogues illustrated different interventions for working with defense, control of anxiety and shame and deepening of emotions. 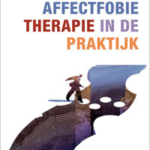 The book is written for students in psychotherapy and psychotherapists active – and for anyone who wants to know more about affective focused work in psychotherapy. 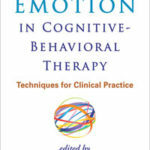 The authors work as therapists, tutors, trainers and researchers in the affective-focused psychodynamic therapy. Note: This book is only available in Swedish. The mechanism of emotional change is central to the field of mental health. Emotional change is necessary for healing the long-standing pain of character pathology, yet is the least studied and most misunderstood area in psychotherapy and pharmacotherapy. Changing Character at its heart is about emotion—how to draw it out, recognize it and make it conscious, follow its lead and, equally important, use cognition to guide, control, and direct our emotional lives. 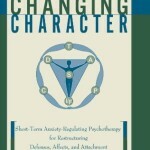 This treatment manual teaches therapists time-efficient techniques for changing character and helping their patients live mindfully with themselves and others through adaptive responses to conflictual experiences. Leigh McCullough Vaillant, a nationally recognized expert on short-term dynamic psychotherapy, shows therapists how to identify and remove obstacles in one’s character (ego defenses) that block emotional experience. She then illustrates how the therapist can delve into that experience and harness the tremendous adaptive power provided by emotions. The result? She shows us how to have emotions without emotions “having” their way with us. Vaillant’s integrative psychodynamic model holds that the source of psychopathology is the impairment of human emotional experience and expression, which includes impairment in drives and beliefs but is seen fundamentally as the impairment of affects. In this short-term approach, psychotherapists are shown how to combine behavioral, cognitive, and relational theories to make psychodynamic treatment briefer and more effective. Vaillant illustrates how affect bridges the gap between intrapsychic and interpersonal approaches to psychotherapy. Affect, she argues, has the power to make or break relational bonds. Through the regulation of anxieties associated with affects in relation to self and others, therapists can help their patients undergo meaningful character change. A holistic focus on affects and attachment has not been adequately addressed in either traditional psychodynamic theory or cognitive theory. Clearly and masterfully, Vaillant shows therapists how to integrate the powers of cognition and emotion within a dynamic short-term therapy approach. by Leigh McCullough, Nat Kuhn, Stuart Andrews, Amelia Kaplan, Jonathan Wolf, Cara Lanza Hurley. 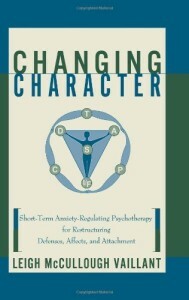 This hands-on manual from Leigh McCullough and associates teaches the nuts and bolts of practicing short-term dynamic psychotherapy, the research-supported model first presented in Changing Character, McCullough’s foundational text. Reflecting the ongoing evolution of the approach, the manual emphasizes “affect phobia,” or conflict about feelings. It shows how such proven behavioral techniques as systemic desensitization can be applied effectively within a psychodynamic framework, and offers clear guidelines for when and how to intervene. Demonstrated are procedures for assessing patients, formulating core conflicts, and restructuring defenses, affects, and relationship to the self and others. In an easy-to-use, large-size format, the book features a wealth of case examples and write-in exercises for building key clinical skills. The companion website (www.affectphobiatherapy.com) offers useful supplemental resources, including Psychotherapy Assessment Checklist (PAC) forms and instructions.